ANCHORAGE, Alaska --- Trailing by as much as 14 points in the first half, the South Dakota School of Mines men's basketball team clawed its way back in the second half, multiple times, to make a game of it against the University of Alaska – Anchorage Saturday night in Anchorage, Alaska, but couldn't get over the hump down the stretch as the Hardrockers fell to the Seawolves, 73-68. The 'Rockers shook off a slow start but found themselves down by 10 points at the half, 35-25. With about eight minutes into the second period, SD Mines had erased the deficit and got one points, 42-41 at the 13:00 mark. But every time the 'Rockers mounted a scoring charge, UAA was able to swing momentum with scoring runs of their own. The Seawolves pushed their lead back up to 11 only to have SD Mines rally back. The visitors were able to get within three points with 3:19 remaining, 59-56, but could not capitalize on a number of scoring opportunities. The Seawolves were also clutch at the free throw line down the stretch to thwart the 'Rockers come back. The Hardrockers finished the game shooting 39.3 percent from the field hitting 22-56, including a 6-19 performance from three-point range. SD Mines was solid from the free throw line hitting 18-21 and collected 25 rebounds, 15 assists and six steals. Anchorage made good on 23-48 shots, including 7-12 from behind the arch and converted 20-25 from the foul line. The grabbed 33 rebounds, 20 assists, four blocks and four steals. 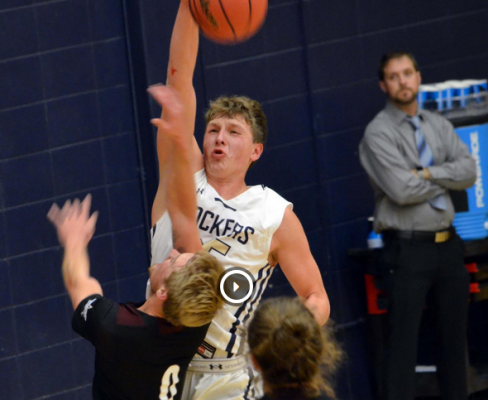 Individually for the SD Mines, Damani Hayes led the charge with 16 points, six rebounds, one assist and one steal, Allec Williams dished in 15 points, seven assists, one steal and one rebound and Mitchell Sueker added 11 points and seven rebounds.